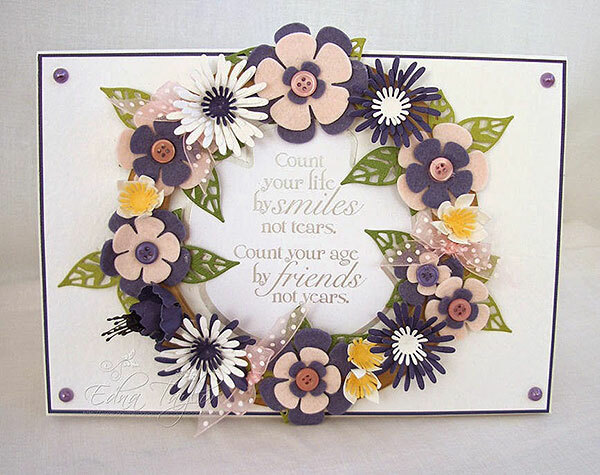 I have a card today that shows flowers from each of the new die sets and I really love this one. 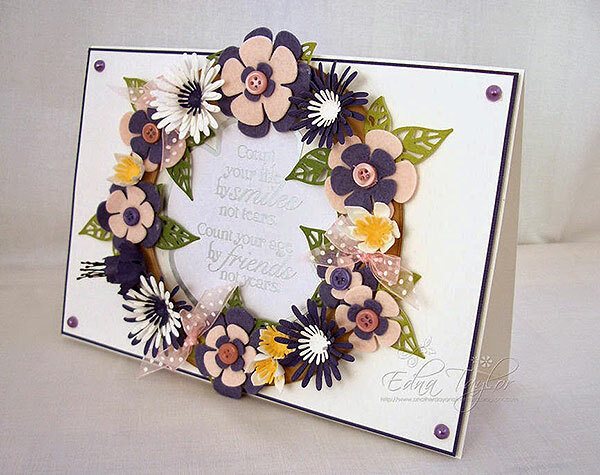 I've tried throughout the samples I've made not to use anything but the dies provided so that you can see just how versatile and interchangeable they can be but I did pop in a few fine stamens on this one. I hope you enjoy this one today as much I as I enjoyed making it. Have a great day and thank you for joining me.